Fall weddings are beautiful and fun, and fall is the season for some of the most delicious food in existence. 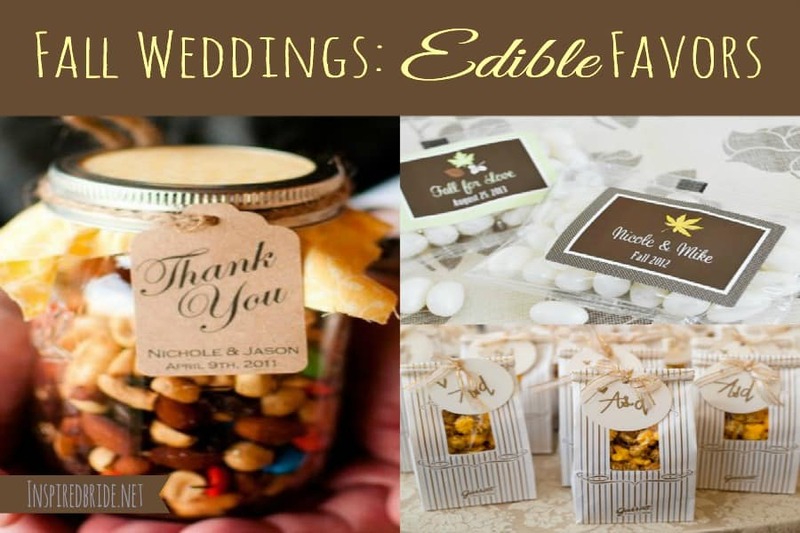 Why not celebrate both points and provide delicious edible wedding favors? There are plenty of different options for creating edible wedding favors for fall, and the following ideas will serve as inspiration for your fall wedding. 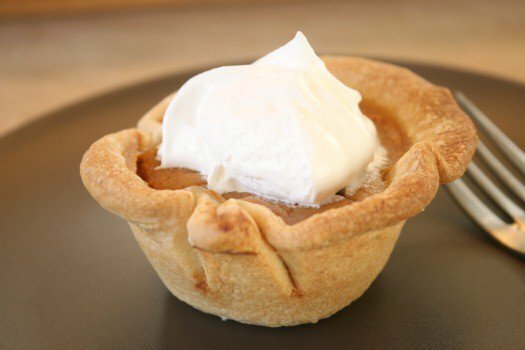 Mini pumpkin pies are a wonderful idea for edible favors, and can be placed in beautiful wedding favor boxes. Place the mini pumpkin pies into cupcake holders so they’re separated but the box will accommodate more than one favor at a time. 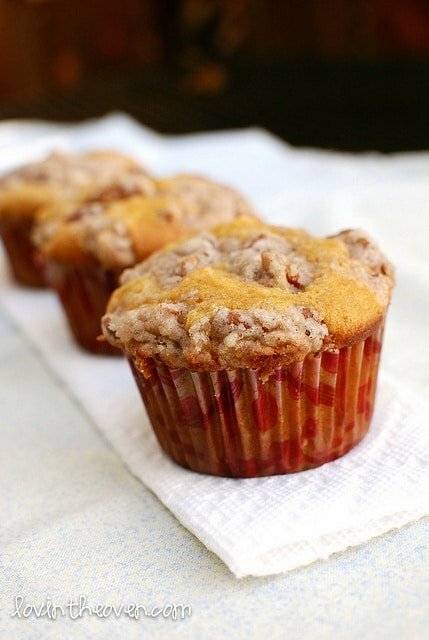 Find your best pumpkin bread recipe and cook them in mini muffin pans. You can then place the mini pumpkin bread muffins inside the favor boxes. Pumpkin bread is delicious and can be cooked with pecans and raisins or left plain if you prefer. Trail mix is another great option and can include dried apple slices, chocolate, pretzels and many other items. You can make your own or purchase a high quality brand to divide into edible favors. 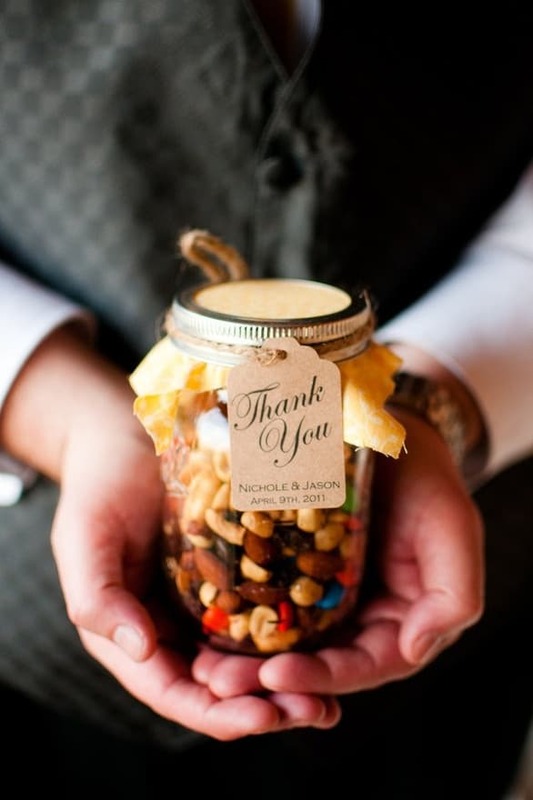 Place the trail mix into small cellophane bags and then into the decorative favor bags or boxes. Jelly beans are a delicious candy and a great fall wedding favor treat. 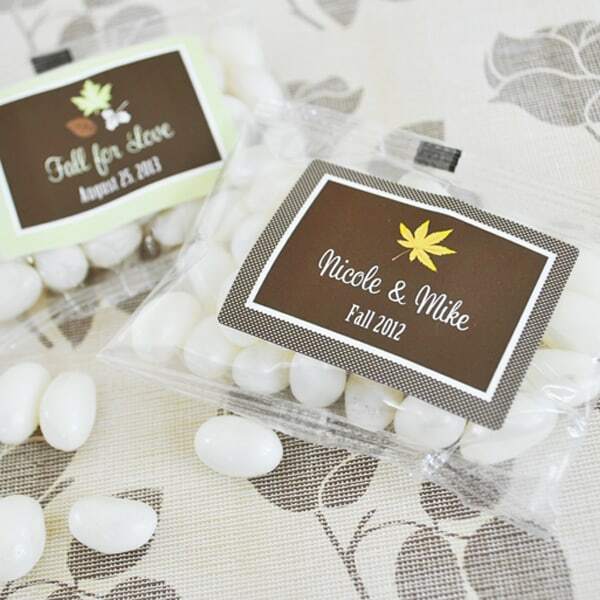 You can choose personalized wedding favors or find your own flavors and place them into wedding favor bags. Everyone is excited when it comes to treats! Let them relish their sweet-tooth with your bag of treats. 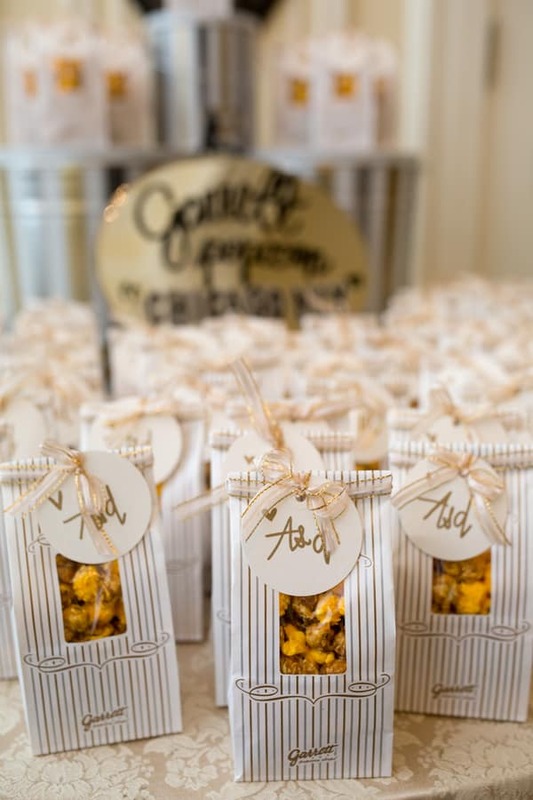 It can be caramel nuts or popcorn, just place them in these personalized loot bags and let them drool no more! Your options for delicious fall wedding favors are limitless. Simply think about your own personal style and utilize these ideas as inspiration for creating the perfect wedding favors.